PLYMOUTH and Tavistock athletes enjoyed plenty of success at the Torbay Triathlon on Sunday. Among the junior age group winners were Oliver Smart, Ella Kerswill and Matilda Riggott, while Dean Crow, Edward Smart, Ewan Warren, Mia Kerswill and Terry Harvey all claimed top three placings. Tavistock’s Oliver Smart secured victory in the tristar3 category. He clocked 27 minutes and 19 seconds for the 300m swim, 7.5k bike ride and 2.5km run. Second was Warren, competing for Exeter Triathlon Club, in 30.07 minutes. Plymouth Tri Club youngster Ella Kerswill triumphed in the girls’ race in the same age category with a time of 34.37 minutes. Tavistock’s Riggott took victory in the tristar1 girls’ event, finishing just two seconds ahead of Aine Graham. Riggott completed the 166m swim, 3k bike ride and 1.25km run in 19.39 minutes. Plymouth Tri Club’s Mia Kerswill claimed third place in the girls’ tristar2 category. The youth, junior and senior age categories all completed a 400m swim, a 15k bike ride and a 5k run. Plymouth Tri Club’s Crow was third overall and second senior in 49.54 minutes. Torbay youth James Alcock was first home in 48.07 minutes. 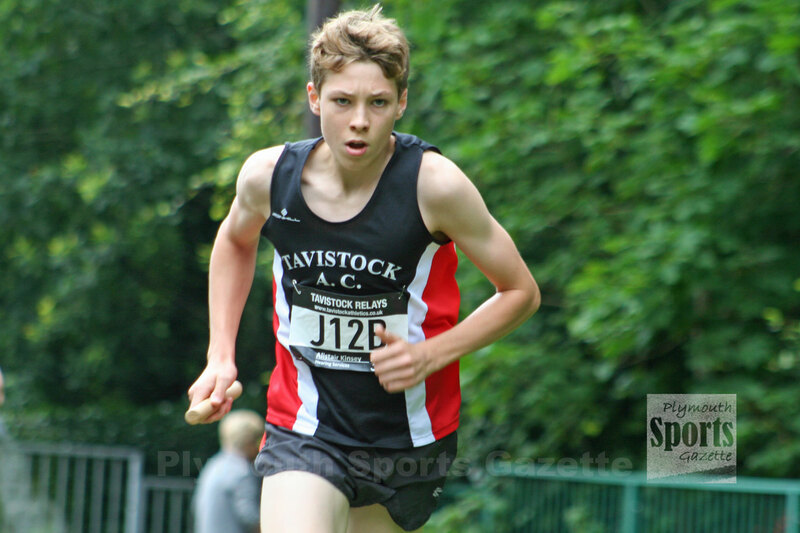 Tavistock’s Edward Smart was fifth overall and third youth in 51.04 minutes, with Plymouth Tri Club’s Harvey finishing 12th overall and second over-50 in 54.02.